Earlier this week THORPE PARK Resort announced the arrival of Dominic Jones, the resorts new Divisional Director taking charge of the resort. You've lots of experience across the world within the leisure industry - what attracted you to Merlin / Thorpe Park? I started my career at THORPE PARK Resort and have a lot of history with the park. THORPE PARK Resort is such an amazing destination and it is a dream come true to be responsible for the continuing the development of one of the UK’s leading attractions – being involved in making guest experiences even more amazing and overseeing major park development plans. We know enthusiasts can sometimes be seen as critical - how do you take enthusiasts feedback on-board? Love the feedback! I am actually a bit of an enthusiast myself. For me enthusiasts are very important customers because if we can get it right for them then we will most certainly get it right for everyone else. I encourage all the feedback and all the comments/blogs/groups, as it helps us do our job better. Please also don’t be strangers and say ‘hello’ when you next visit THORPE PARK Resort! Getting your feedback at first hand is even better. You've experience within the Merlin Midways - would you like to see more actor based experiences at Thorpe Park? We need a good mixture of everything and we want to entertain our customers and give them amazing experiences. So, this means more Coasters, more rides, more actor led experiences, more family rides, more unique food offerings and more entertainment in general. THORPE PARK is all about giving visitors ‘more’! There are great things coming up in our future plans – and you will not be disappointed. Derren Brown's Ghost Train opened at the resort in 2016, did you get to try the ride out before the end of the season, are you excited to see how the attraction can develop in the future of course starting with the new destination in 2017! I can tell you that I went on Derren Brown’s Ghost Train every time I visited THORPE PARK Resort during the open season! I have been heavily involved in the new destination and how we operate this ride in 2017 and I am very very excited about the new destination. It’s a game changer! Cannot wait! We understand you've worked at Thorpe Park before - tell us how it’s changed between then and now? This is my third time working at THORPE PARK Resort; I started as a Ride Operator during the summer holidays and worked my way up into Rides Management, then came back for my second time 10 years later when I worked in Marketing; and now I’m back again as the boss! I can’t quite believe it as I actually said to my then fellow Flying Fish operator all those years ago “I am going to come back and run this place” and it is has now come true! There are lots of things that have changed over the years. I remember when we opened for 24 hours when the park was owned by RMC. Or when the Rangers Arrived and when they were retired and when we created SAW Alive and Ministry of Sound Events. For me Thorpe Park is about giving our customers an amazing experience and I truly believe we have done that consistently throughout our history. I am looking forward to continuing to do this and to make your park and our park even better! Does the resort still plan to build the lakeside hotel? There are a number of exciting plans and over the next 10 years you will see us transform even more into a Resort and entertainment destination. As a firm favourite among the community, is there anything you can tell us about the future of Loggers Leap? I love Loggers Leap; I actually met my wife on this ride and it was one of my favourites in my operating days. 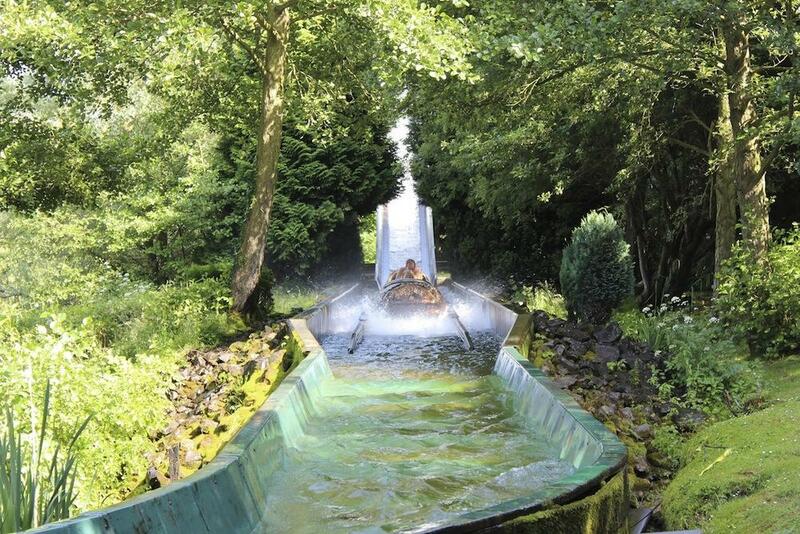 I even helped deep clean it one winter so have a massive load of affection for Loggers Leap. As we have confirmed on social media we have no current plans to close Logger’s Leap and are in conversations currently about the future of this beloved attraction. We hope to have an update for you on this soon! What’s the most rewarding part about running a theme park? For me the most rewarding park of running THORPE PARK Resort will be at the end of the day standing in admissions and seeing our customers leave happy. People spend their hard earned money coming to visit us and we do not want to let them down. So making sure that we have delivered a memorable day out for them will always make my day! What are your favourite Past / Present Thorpe Park ride? Thanks for your time and we look forward to seeing the resort develop under your leadership!